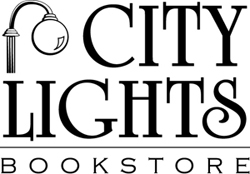 The #1 New York Times bestselling memoir that inspired the film October Sky, Rocket Boys is a uniquely American memoir—a powerful, luminous story of coming of age at the dawn of the 1960s, of a mother's love and a father's fears, of a group of young men who dreamed of launching rockets into outer space . . . and who made those dreams come true. With the grace of a natural storyteller, NASA engineer Homer Hickam paints a warm, vivid portrait of the harsh West Virginia mining town of his youth, evoking a time of innocence and promise, when anything was possible, even in a company town that swallowed its men alive. A story of romance and loss, of growing up and getting out, Homer Hickam's lush, lyrical memoir is a chronicle of triumph—at once exquisitely written and marvelously entertaining. Now with 8 pages of photographs. A number-one New York Times bestseller in mass market, brought to the screen in the acclaimed film October Sky, Homer Hickam's memoir, nominated for the National Book Critics Circle Award, comes to trade paperback with an all-new photo insert. One of the most beloved bestsellers in recent years, Rocket Boys is a uniquely American memoir. A powerful, luminous story of coming of age at the end of the 1950s, it is the story of a mother's love and a father's fears, of growing up and getting out. With the grace of a natural storyteller, Homer Hickam looks back after a distinguished NASA career to tell his own true story of growing up in a dying coal town and of how, against the odds, he made his dreams of launching rockets into outer space come true. A story of romance and loss and a keen portrait of life at an extraordinary point in American history, Rocket Boys is a chronicle of triumph. Homer Hickam was born and raised in Coalwood, West Virginia. The author of Torpedo Junction (a Military History Book-of-the-Month Club selection) as well as numerous articles for such publications as Air & Space/Smithsonian and American History Illustrated, he is a NASA payload training manager for the International Space Station program and lives in Huntsville, Alabama. "A thoroughly charming memoir...[an] eloquent evocation of a lost time and place. . . . Mr. Hickam builds a story of overcoming obstacles worthy of Frank Capra, especially in its sweetness and honest sentimentality." "[Hickam] is a very adept storyteller--.--.--.--It's a good bet this is the story as he told it to himself. It is a lovely one, and in the career of Homer H. Hickam, Jr., who prevailed over the facts of his life to become a NASA engineer training astronauts for space walks, that made all the difference." "Hickam has a great story to tell. . . . 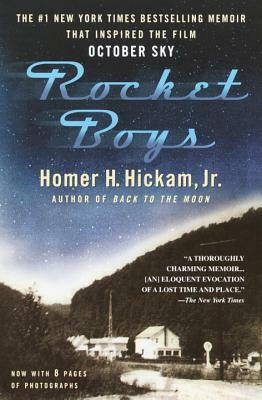 Rocket Boys will certainly strike a nostalgic chord in anyone who grew up during the early days of the space race, but its appeal goes beyond that. . . . Hickam's recollections of small-town America in the last years of small-town America are so cinematic that even those of us who didn't grow up there might imagine we did." "A stirring tale that offers something unusual these days . . . a message of hope in an age of cynicism. . . . Perhaps we all have something to learn from a half-dozen boys who dared to reject all limitations . . . and resolved to send dreams roaring to the sky." "Unforgettable . . . Unlike so many memoirs, this book brings to life more than one man's experiences. It brings to life the lost town of Coalwood, W.Va."